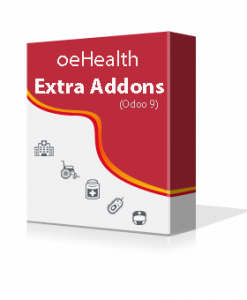 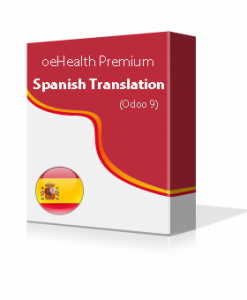 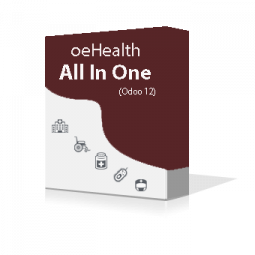 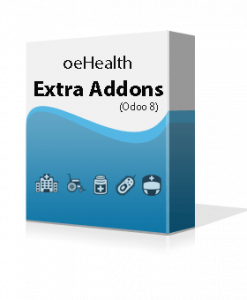 oeHealth All In One for Odoo 12 is an exciting pack of Odoo medical solutions for any types of health care organizations. Record important details of your patient including including family info, prescriptions, appointments, diseases, insurances, lifestyle, mental & social status, lab test details, invoices and surgical histories. 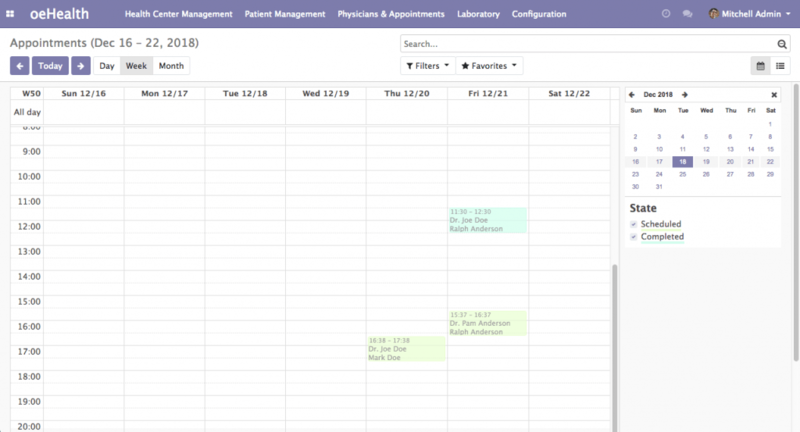 Setup profile of your doctors including their weekly consultancy schedule and allow them to manage different operations like Inpatient Admissions, Appointments, Prescriptions, Lab & Imaging Tests, Surgeries and many more. 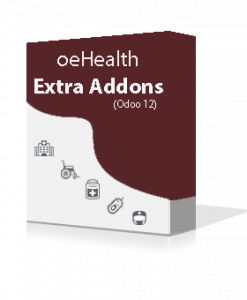 Doctors and patients can manage their appointments as oeHealth is tightly integrated with Odoo’s calendar control so you will be always updated for your upcoming schedules. Add all the available wards and beds details inside the system and allocate them to your patient at the time of admission. oeHealth will also allows doctors/health center admin to trigger payment information at the time of discharge. 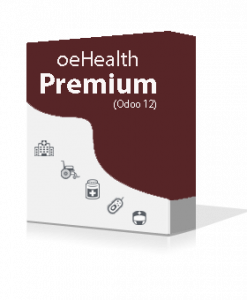 oeHealth comes with 9 pre-defined laboratory tests and ability to perform different various imaging tests like X-Ray, Ultrasound, MRI, CT Scan and PET Scan. 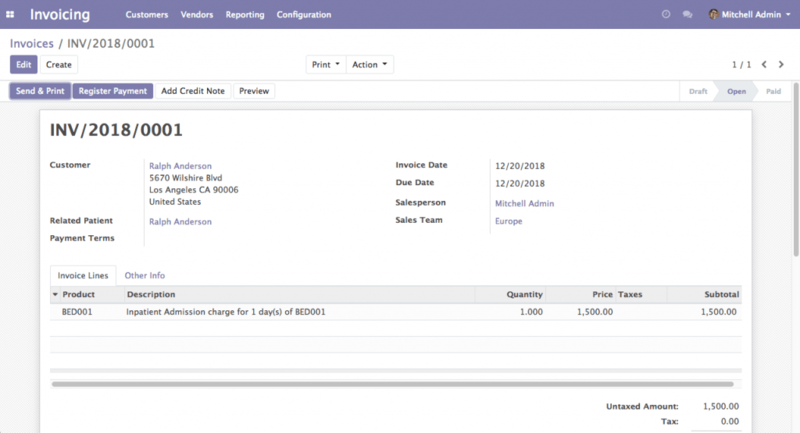 You can print the test report and finally raise an invoice after completion of each test. 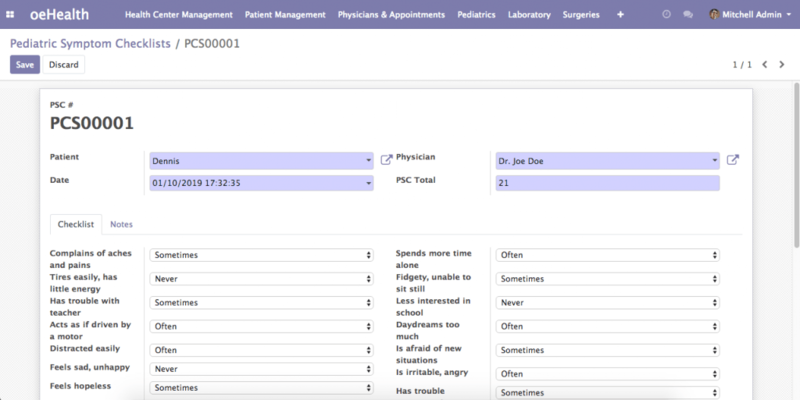 Record patient’s important medical histories once and always access them as a reference during managing Appointments and Walkins. 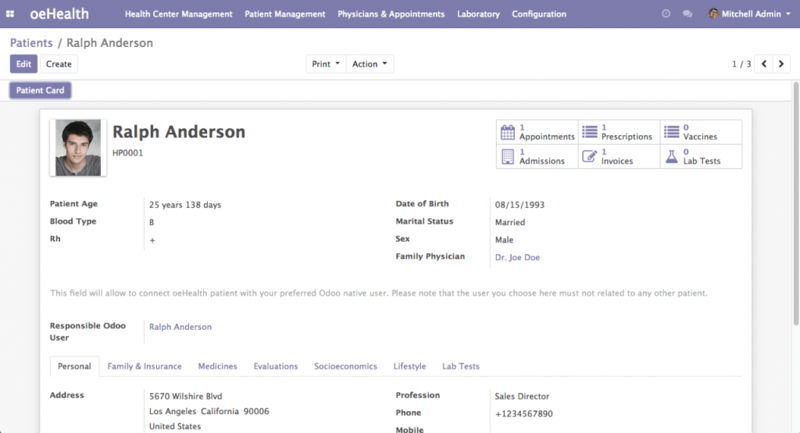 Record full details for Newborn baby and perform the APGAR tests required immediately after the birth. 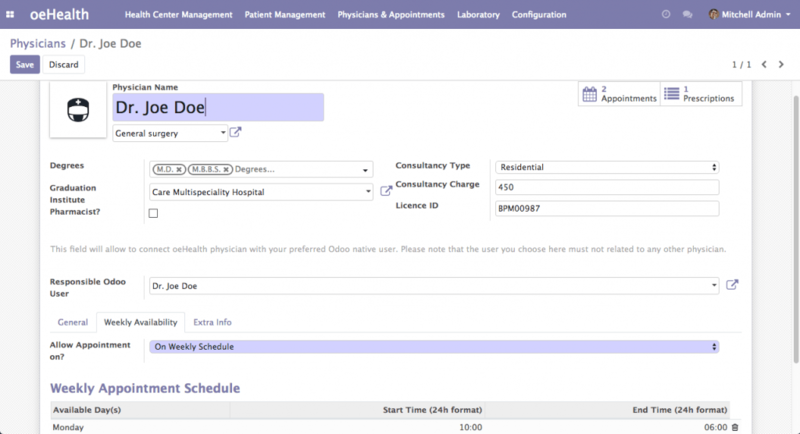 Physician can also manage Paediatrics Symptom Checklist (PSC) to evaluate growth of the child. 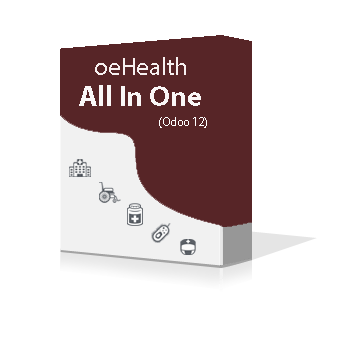 oeHealth is tightly integrated with Odoo’s official Accounting module. You can easily raise invoices for services like Doctor’s consultations, Prescriptions, Lab test & Inpatient admissions directly from the package and manage different accounting tasks of your care center. oeHealth follows important diseases and medical procedures standards (like ICD-10 / ICD-10-PCS …) defined by WHO. Manage patient’s Genetic and Hereditary risks using over 4200 genes related to diseases (NCBI / Genecards). 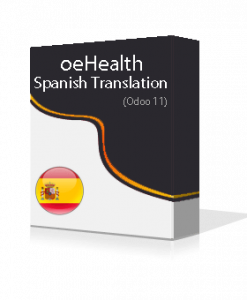 Generate useful medical reports related to patients, diseases, prescriptions, evaluations, laboratory test results and appointments from various sections with a single click.